By now, everyone has noticed the remarkable restoration of the Lyme Art Association building on Lyme Street. Designed by painter-architect Charles A. Platt, this venerable, nearly 100 year-old building was the heartbeat of the Old Lyme artist’s colony. Miss Florence Griswold carved a piece out of the southeast corner of her farmstead and sold the land to the Lyme Art Association for one dollar. The artists, some of whom still called her place home and some who by now had settled in the Old Lyme and Lyme area, had previously used the Phoebe Griffin Noyes Library as their exhibition space. 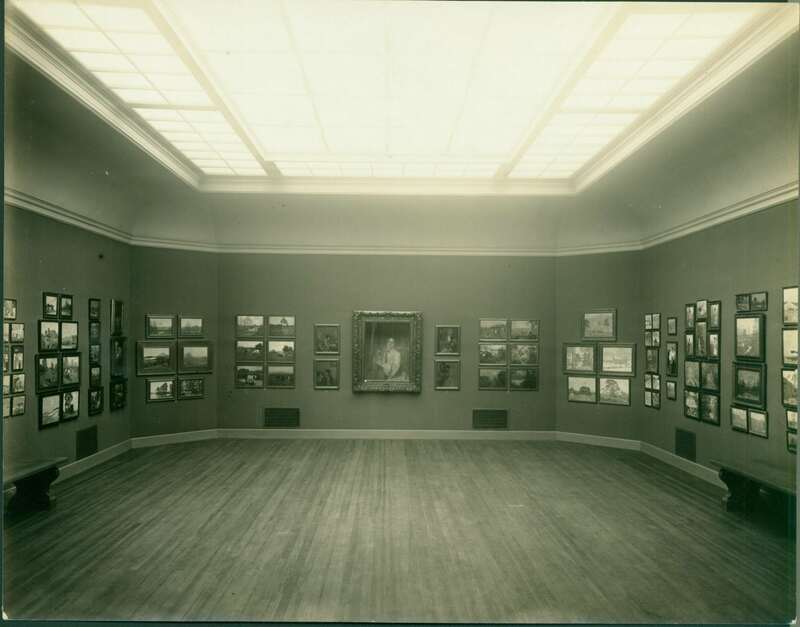 Proceeds from the summer art exhibitions shown at the library were used to pay for the construction of their gallery, a permanent place to respectfully show their work, which was of national and international fame. What did Miss Florence say about the new gallery building? One answer comes from a letter in the Florence Griswold Museum’s archives. The “tea roomy” reference might have been a jab at the afternoon teas held at the gallery on Wednesdays and Saturdays. 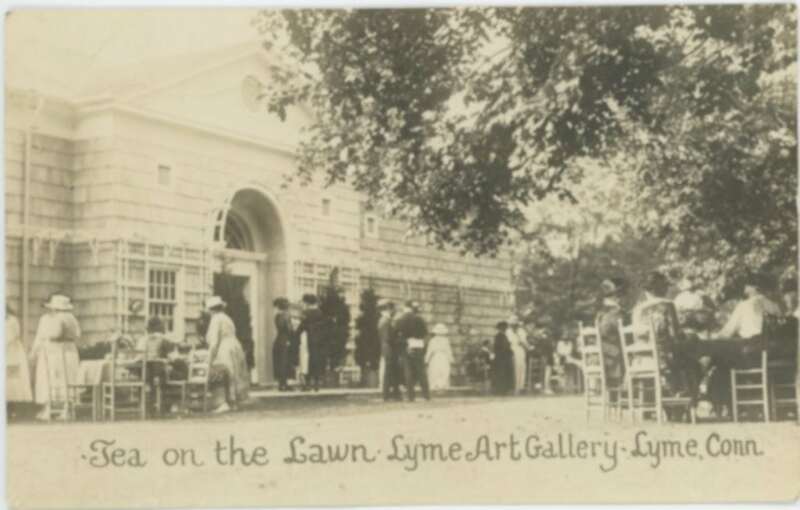 Old Lyme was rapidly changing in the 1920’s, becoming more in line with modern times, which meant more tourists, and less of the bucolic serenity which drew the artists to Miss Florence’s home and Old Lyme in the first place. 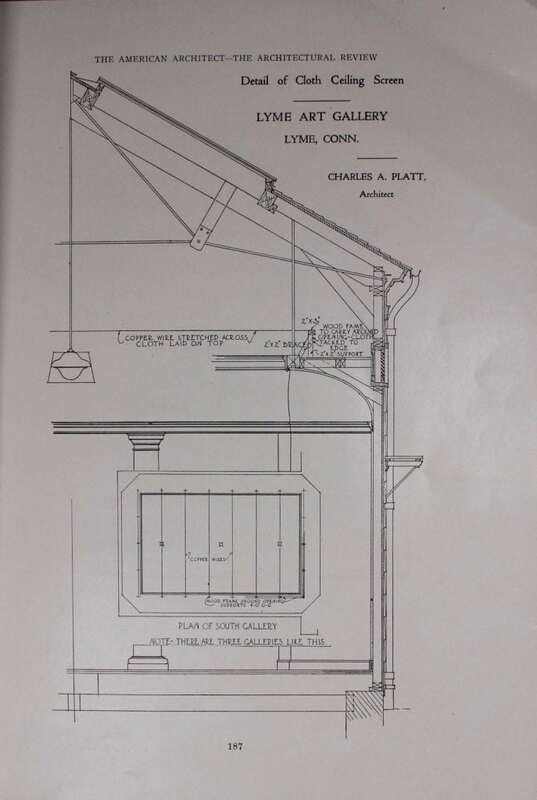 For more on what was happening in Old Lyme in the early 20th century and the Lyme Art Association, see The Charm of the Place by Carolyn Wakeman, Old Lyme Historical Society, 2011.